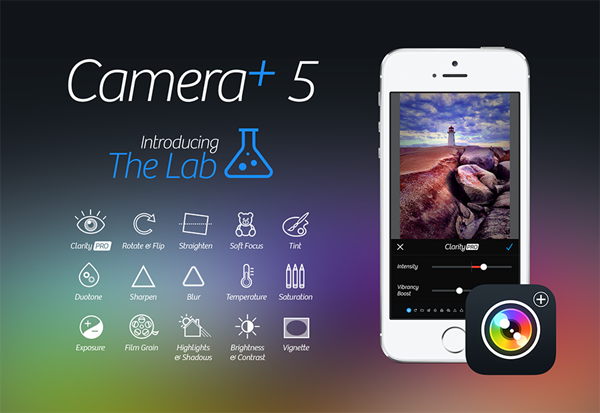 Camera+ 5.0 Released: New UI For iOS 7, Pro Editing Features And A Lot More! Camera+ has been around for a number of years on iOS, and is seen by many as the de facto alternative to the standard Camera app. It’s not as though there aren’t hundreds of other such utilities throughout the App Store, but Camera+ has always kept its interface simple and to-the-point, but with more features than the stock offering. It’s like the Camera app that Apple should have included natively, and in-keeping with this mindset, Camera+ has just been updated for iOS 7. The Cupertino’s latest and greatest mobile OS was released all the way back in September, and although some developers keenly brought forth their updates sporting the new-look design, others have lagged a little. Still, in time for Christmas and all of those holiday photos, Camera+ is now aesthetically in line with iOS 7, and developer tap tap tap has added a bunch of other new and exciting features besides. 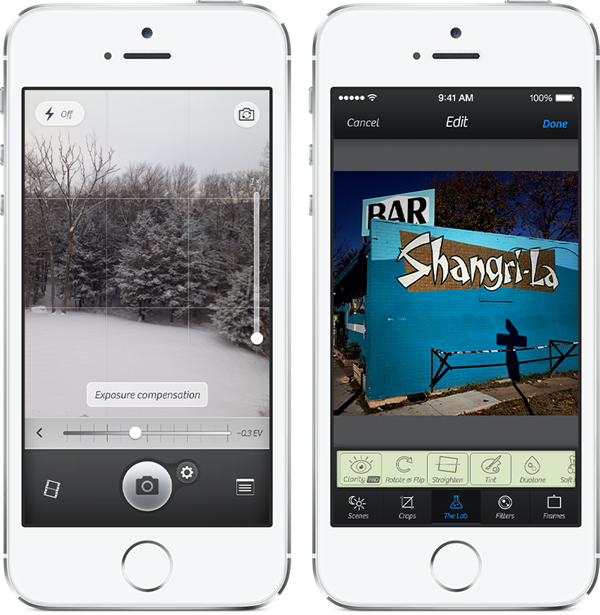 Version 5 is easily the biggest update we’ve ever seen with Camera+, and although some developers often charge for such significant improvements – even those who’ve previously paid for older versions – we’re pleased to report that this update is free, with a $1.99 fee to those who haven’t purchased Camera+ before. So, what do you get? Well, to start, there’s a very thorough set of editing tools on offer, allowing you to tweak, blur, and adjust your photos to your exact specification. 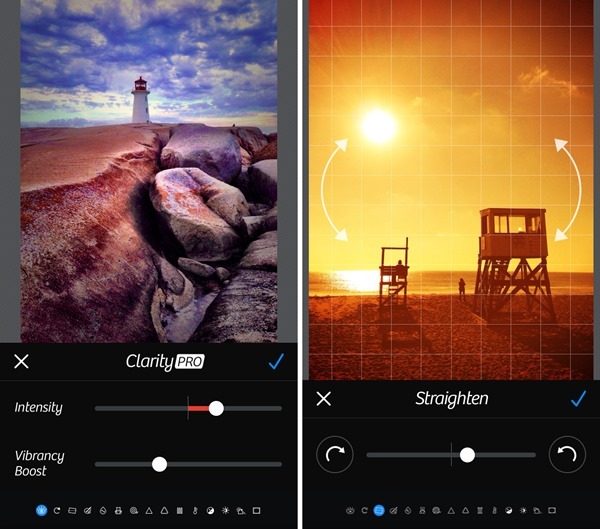 These include Clarity Pro, Straighten, Tint, Duotone, Soft Focus, Film Grain, Sharpen, Blur, Saturation, Temperature, Exposure, Brightness & Contrast, Highlights & Shadows, and Vignette. Although the app remains compatible with the antiquated iPhone 3GS, there are some limitations with the hardware, which in turn will limit how much of this greatly revamped app you can enjoy if in ownership of the device. Of The Lab’s new entries, you can still enjoy the likes of the Rotate & Tilt, Straighten, Tint, Duotone, Soft Focus, Saturation, Temperature, and Exposure. One intriguing new feature is the ability to turn your snaps into iOS 7-like wallpapers. All you need to do, according to the release notes, is apply maximum blur, add “a touch of saturation,” and you’ll be good to go. As aforementioned, it costs $1.99, but is free for pre-existing users.